Malta traditionally opens with a series of competitions in the class “Optimist” in the offseason. In Mellieha Bay in the North of the island nation of 19 December took place the first race of the largest regional regatta Euromed. Training and competition in December in Malta have become a staple of the program for the athletes of the Academy of sailing. But this visit was special. First, to Malta arrived troops advanced juniors – only 29 athletes, accompanied by five coaches. Second, this is the first international competition for the participants of the recently established program OptiPro. That is, the athletes of the OptiPro made the basis of the team. Is 20 athletes from the St. Petersburg sailing schools “Gala” and Academy sailing. They were joined by six Junior athletes of the Academy, who also conduct training and participate in the next competition with more experienced peers. The first day of the races Euromed ended with mixed results for the Russian team. The first race in the “blue” fleet was won by “Akademik” Alexander Minibaev and Andrei Fedorov finished third, just slightly behind the opponent. In the second race of the yellow fleet finished second to medalist Russia Kirill Shanenkov. 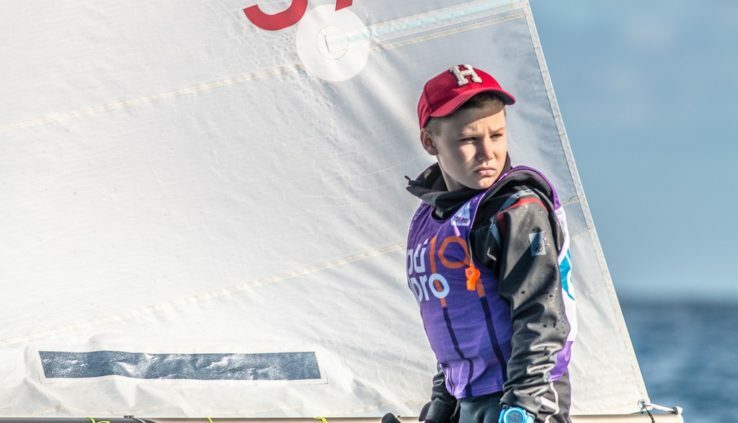 An unexpected result shown by the athlete from Chelyabinsk, which has recently engaged in Academy– Marina Babkina came third in the second race of its fleet. The Marina, which is the first international competition, the race was in the lead and only at the finish lost to foreign competitors. In the General standings senior athletes Minibaev after two races on the 11-th line. Among girls the eighth is Marina Babkina. In the group of younger athletes Academy in the second race the third managed to finish Yegor Denisov, and he is still the best among the Russians in the overall standings of this group – the eighth line. Also, the top ten were Vladimir Liubomirov and Pavel Guschin. Euromed 2018 will last until 22 December. BRP technique has become closer!